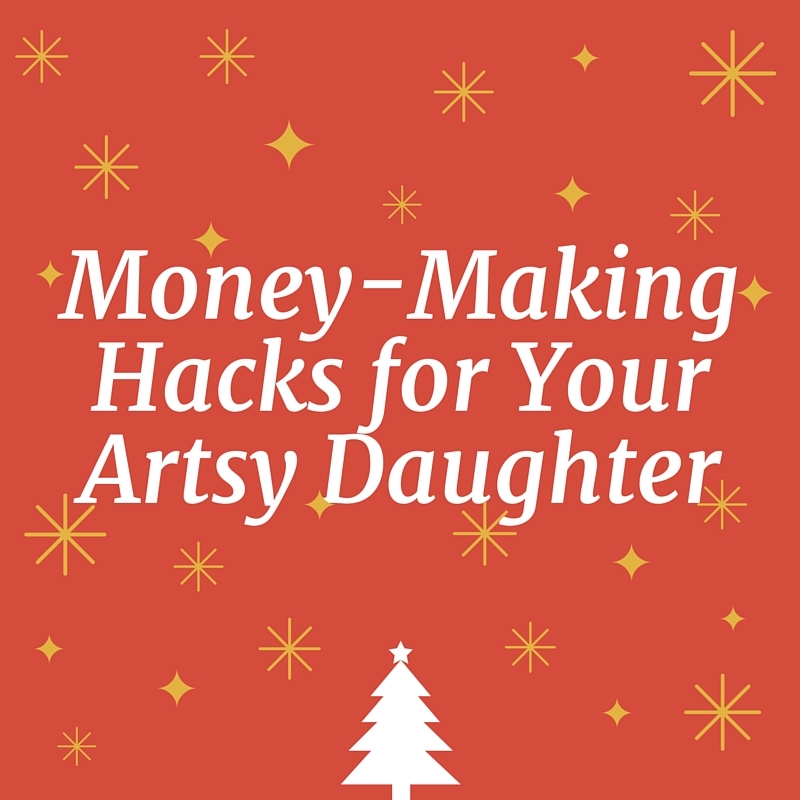 Wondering how to keep boredom at bay for your artistically inclined daughter during her holiday break? The holiday break is the perfect time to help her hone her craft, have fun, and earn some cold hard cash. Whether your daughter is a beading genius or a “Picassa” in the making, allow her to host a few friends for an hour or two of craft learning fun. She can use Pinterest boards to develop ideas. Or use formerly assembled projects to help spark the creative genius in others. 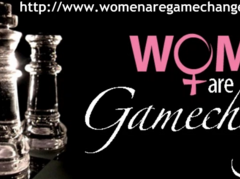 Use an online registration app like Eventbrite or old school RSVP list. Consider what to charge. Make sure you cover the materials costs and your time. Other parents will love the opportunity for their kids to engage in structured creativity. It means a few hours of free time for them! And don’t forget to discuss everything after the event. What did she enjoy? What would she do differently next time? New Year’s is the perfect holiday for the young chef in your life. There are bound to be dozens of parties to show off her skills. Allow your daughter to cater a small New Year’s party with her best cookies, cakes, and other specialty foods. And don’t forget with both hacks to use your camera! It will be great to showcase her successes!! Both of the above hacks will foster a sense of accomplishment and encourage business savviness. You never know…this may be the beginning of a lasting and very prosperous venture. 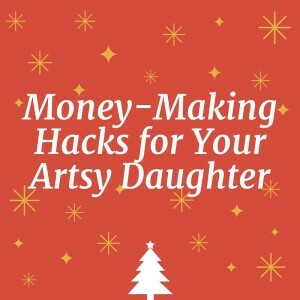 Does your daughter use her artistic talents to make money during the holidays? If so, please share your story, I would love to hear from you! Until the next post I wish you the happiest of holidays and the best New Year ever! 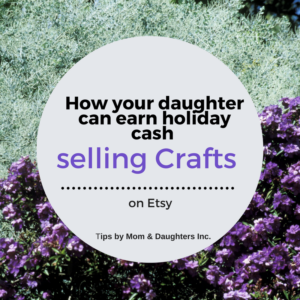 Does your daughter want to earn some extra spending cash? Is she crafty? Consider selling on Etsy. It’s one of the most recognized places on the Web to sell hand made items. So whether you do it for cash or for fun, your daughter has a well known brand behind her talents. Their website has a ton of hints and simple steps to get started setting up the storefront. So your daughter will get some ideas easily on how to turn her crafts into a marketable businses. If you haven’t already visited, head to the website, www.etsy.com. There are thousands of sellers already online. Don’t get mired in too many details if you feel overwhelmed or are new to the process. Because a simple and finished storefront is much better than one that is cluttered. What should I do before I go online? Spend some time on the site researching similar products. Calculate your costs. How much does it cost you to make the item? What are the approximate prices that you see others are listing for similar items? Write a description to entice buyers. Take photos of your products in good lighting and try a number of angles. This is obviously a step your daughter can participate in if she can handle a smart phone. How do I get the store started? The platform walks you through each step. You will need a name, your photos, the descriptions and your prices. Fill in as directed and select your billing and payment options. Your items will be available once you complete the sign in and finish your store. How do I get people visiting the store? Etsy businesses do well from consumer Google searches. But don’t rely soley on this to promote the store. 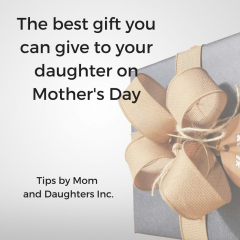 You and your daughter can sharpen your sales skills. Print business cards using the link the platform provides. I’ve used Vistaprint and Staples. But there are a host of quality stores where you can print business cards cheaply. Encourage your daughter to carry a few as well if she feels comfortable. Having your own business card in your wallet raises self-esteem. Don’t be shy about telling people about the business. Put links on your Facebook page and other social media sites. Facebook and Pinterest offer pages for businesses. Consider a separate page for your new brand. And, since Etsy is product and craft driven, visuals sell. Add photos of your handiwork to Instagram. Etsy sellers have access to a wide range of help pages on site and off. But challenge your daughter to consider what interests her. Ask questions about which methods she likes best to promote her store. Like on the job training, a home business can be the way to stimulate creativity. 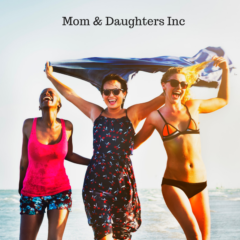 Your daughter can have a new side income and new found skills on how to sell and market her business.